The northeast corner of 3rd and Bainbridge is home to a new Italian bistro, owned by Bridget Foy and her husband Paul Rodriguez, Cry Baby Pasta. The 55-seat eatery is billed as a “rock-and-roll pasta bar,” a place where you don’t have to whisper for fear of disturbing neighboring diners. 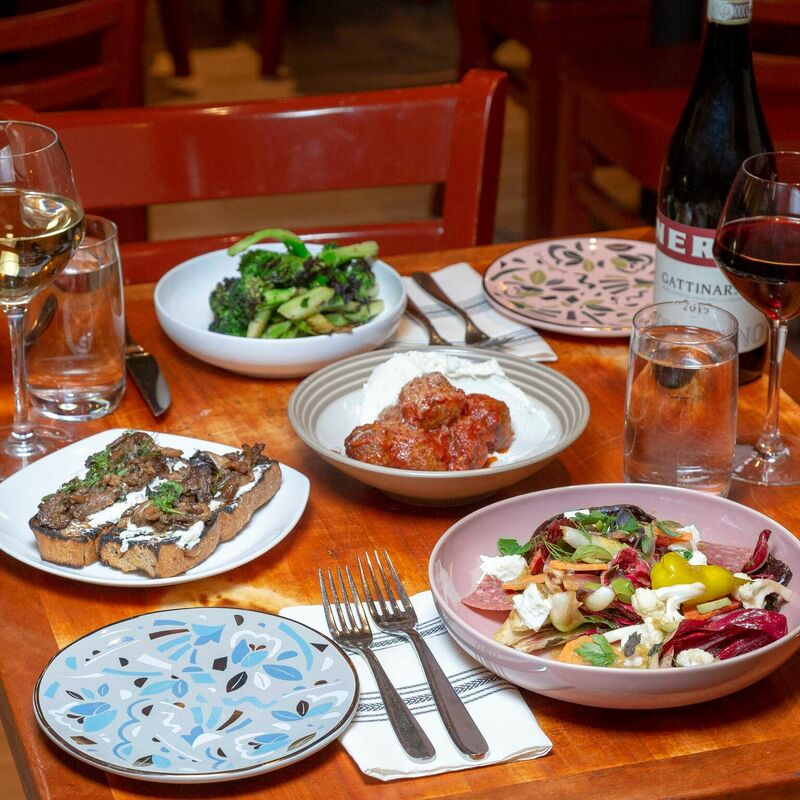 Chefs David Gilberg and Carla Goncalves composed a menu of casual, simply-presented, from-scratch Italian fare in fun, modern and colorful atmosphere. I was able to try some of the starters and shareables, including the charred broccoli, which was delightfully mild with a welcoming bite, and that great equalizer, the meatballs. The balls were small, but juicy and packed with flavor, barely covered in a simple yet hearty tomato sauce. The star attractions on the menu, as implied by the restaurant’s name, is the pasta. The campanelle was mixed with fiore sardo, a sheep’s cheese that was surprisingly smoky, broccoli rabe that was appropriately bitter (contrasted against the aforementioned broccoli appetizer), and topped with panko bread crumbs. The combination of the smoky cheese and crunchy topping created an illusion of bacon, which makes this dish enticing for carnivores and vegetarians alike. My favorite by far was the rigatoni with smoked chicken, vodka sauce, pancetta and cherry peppers. The rigatoni was undeniably homemade, with an al dente starchiness that can only come from fresh pasta kissing boiling water. The cherry peppers provided a tangy, flavorful heat which was tempered by the creamy tomato gravy. Cry Baby Pasta opened on January 18, and is one of eight restaurant and bar projects coming to the South Street area. Situated a block from South Street, this new Italian eatery may be missed, but I urge you to bring a friend, share some pasta, and enjoy.